Cleveland, Ohio, May 2017: LeMoyne-Owen College (LOC) selected BlackBeltHelp as one-stop-shop helpdesk to provide after-hours support related to IT, LMS, Financial Aid and Bursar. 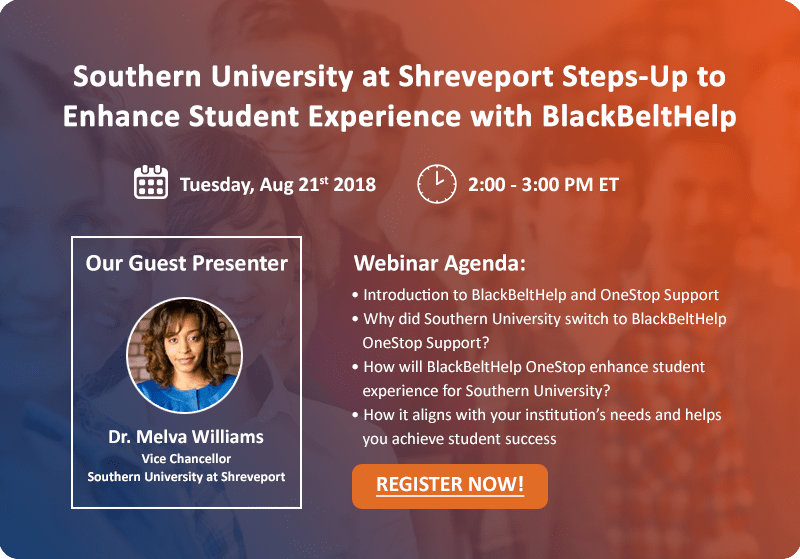 After different levels of discussion, Lemoyne-Owen College partnered with BlackBeltHelp to support their students, staff and faculty after normal business hours, which will create a better end-users experience by providing anytime, anywhere superior service. As BlackBeltHelp’s aim is not profit maximization, but to provide cost-effective solution, BlackBeltHelp even assisted LeMoyne-Owen College in getting a grant of $20,000 from Campus Consortium, so that these services can fit in well within their budget. BlackBeltHelp one-stop-shop helpdesk will provide after-hours support to assist LOC’s end-users via phone, Email and chat. "We are proud to partner with LeMoyne-Owen College to provide one-stop-shop superior helpdesk, which is highly economical and scalable," said Ron Bhalla, CEO - BlackBeltHelp. “Now LOC’s student, staff and faculty can call for help anytime they want, they don’t have to look at the clock anymore before calling helpdesk." LeMoyne–Owen College is a fully accredited, four-year private historically black college located in Memphis, Tennessee, affiliated with the United Church of Christ. It resulted from the 1968 merger of historically black colleges and other schools established by northern Protestant missions during and after the American Civil War. The LeMoyne–Owen College Department of Athletics sponsors men's intercollegiate baseball, basketball, cross country, golf, and tennis along with women's intercollegiate softball, basketball, cross country, volleyball and tennis.